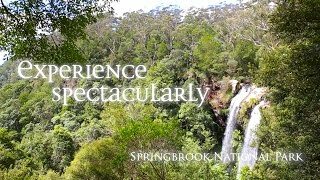 Experience spectacular waterfalls, lush rainforest, ancient trees, impressive views and exceptional natural beauty in the Numinbah section of Springbrook National Park. Located in the foothills of the famously beautiful south-east Queensland’s Border Ranges, this park protects an area of great ecological importance and is part of the Gondwana Rainforests of Australia World Heritage Area. Numinbah is on the western side of the Springbrook plateau. The rugged mountain scenery makes this a superb area for photography. 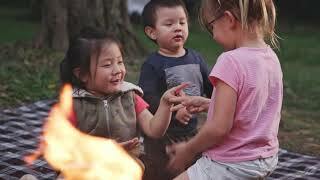 Take time to relax and unwind in the cool mountain air and soak up the . Relax on the banks of the Nerang River in the shady Forest Park day-use area, a perfect spot for a barbecue or picnic. A diverse array of water-dwelling animals live in the park including many species of frogs, as well as blue spiny crayfish and eels. If you are lucky you may even catch a glimpse of a platypus in the river.